I think I’m addicted! Crunchy and salty, this toasted seaweed snack rules. My love of this recipe may have something to do with my thyroid. Seaweed has a lot of iodine in it and iodine supports normal thyroid function. 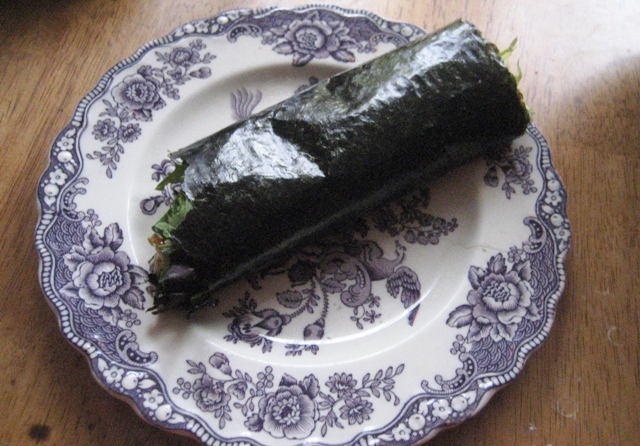 When I am under stress or feeling a little out of balance sometimes I crave nori or kelp, I know the craving is my thyroid asking for some support. I used to have Hashimoto’s Thyroiditis but that got annoying so I gave it up. Who wants to take Synthroid everyday anyway? Why not make something delicious instead, I’ll have my medicine and eat it too! 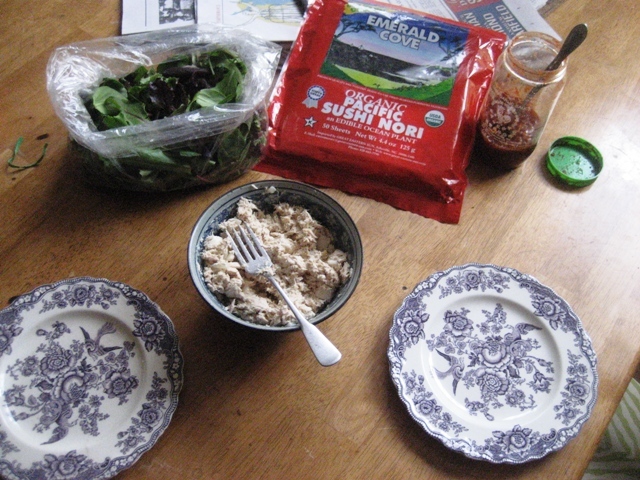 I found this on The Kitchn and the link that follows is for their recipe, which I tried and then modified, of course. 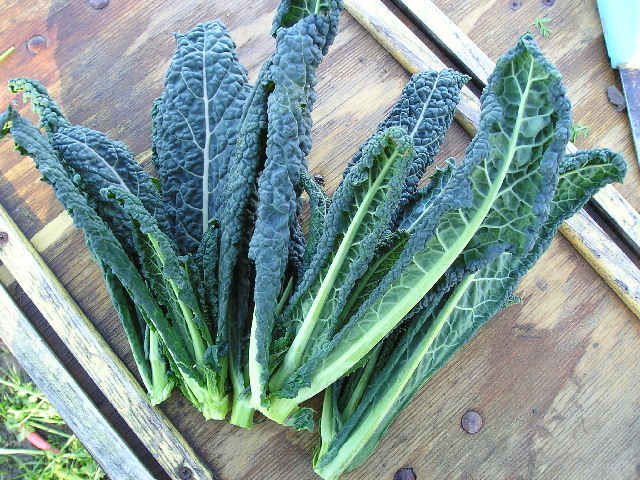 Not just for sushi, you can eat it as is, crumble over salads or use as a wrap! This recipe is easily doubled, if you decide you really like it! 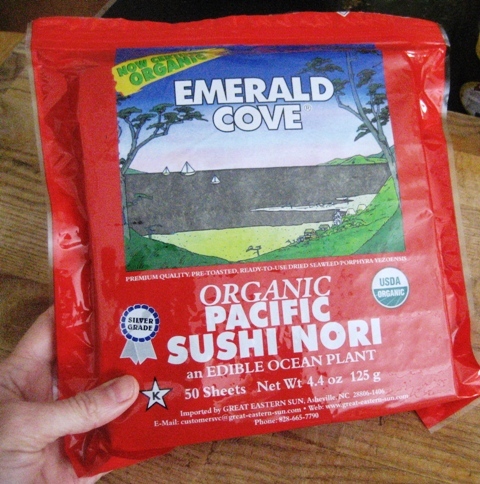 You should be able to pick up some Nori and wasabi powder the next time you find yourself in that aisle of the grocery store where they keep all of the interesting ingredients. Heat oven to 250°F. Or, if for some reason you oven is not functioning you can use your toaster oven. This snack is dorm room friendly! 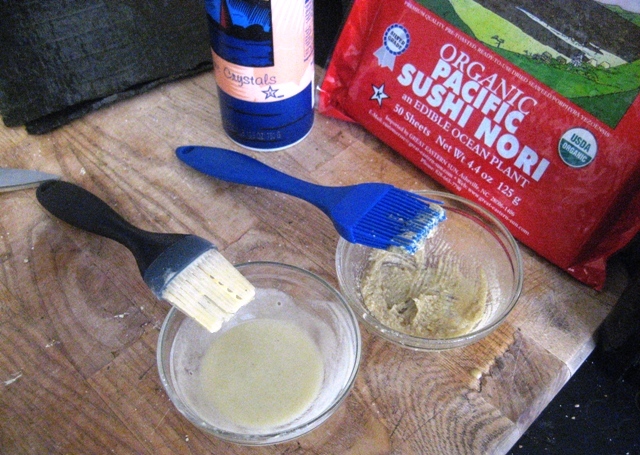 Combine 2 tablespoons water and 1 tablespoon wasabi in a small bowl and whisk with a fork until the wasabi is dissolved. 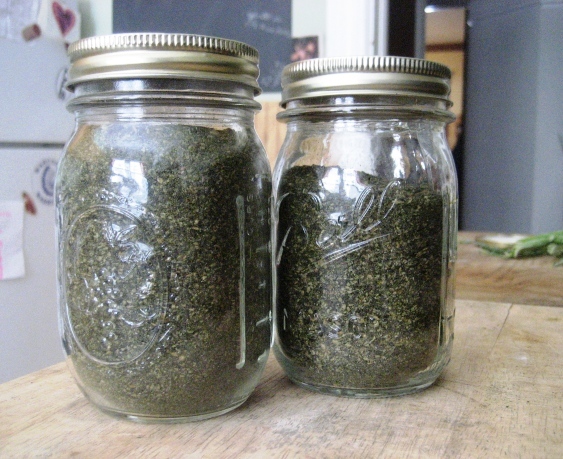 The wasabi tends to settle to the bottom, so you may need to re-whisk between batches. 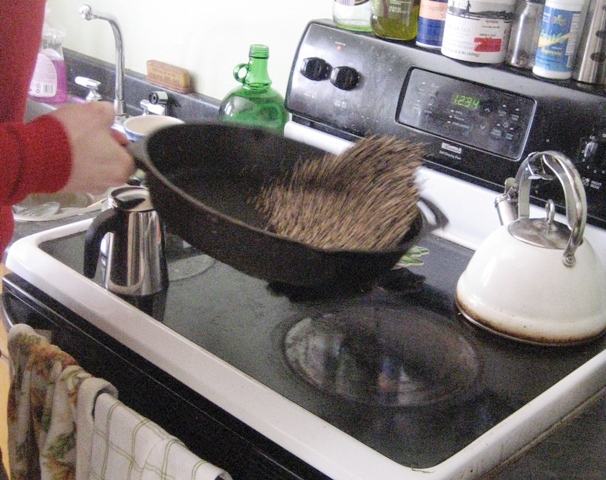 Combine the sesame oil, 1 tablespoon wasabi and 1 tablespoon water in another bowl. 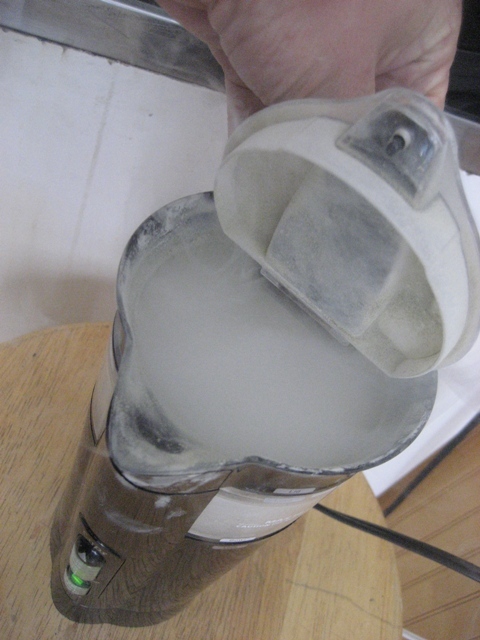 It will be like a thick paste. The bowl on the left has wasabi and water, the bowl on the right has wasabi, sesame oil and water. 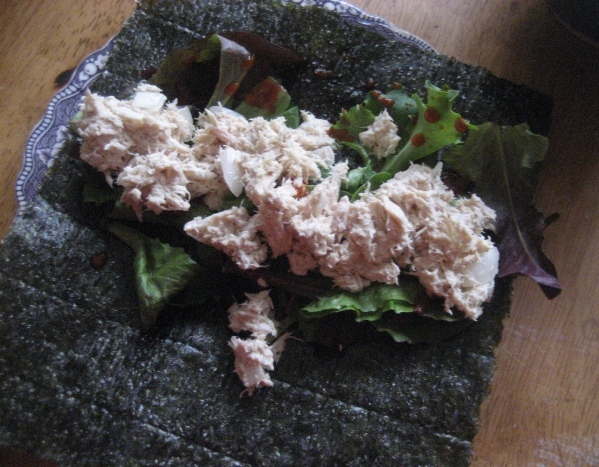 Take one sheet of nori and fold it in half. Unfold it and lightly paint half the sheet with the wasabi water using a pastry brush. Sprinkle the inside with salt and press it closed. 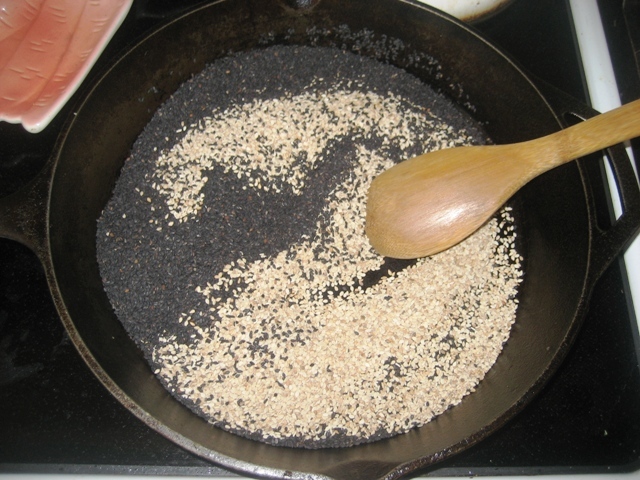 Lightly brush the top with the wasabi sesame oil and water mixture. 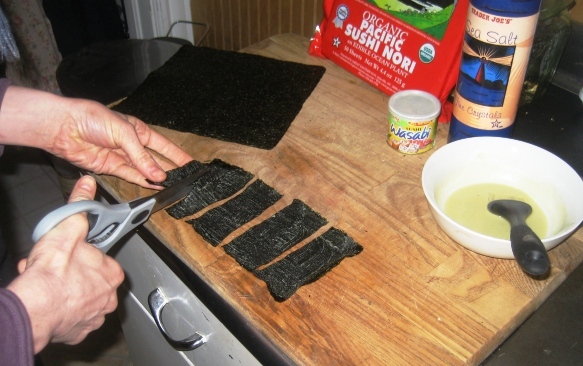 Using a pair of kitchen scissors, cut the nori into 5 or 6 strips and transfer them to a baking sheet. Using kitchen scissors to cut strips of wasabi basted nori. 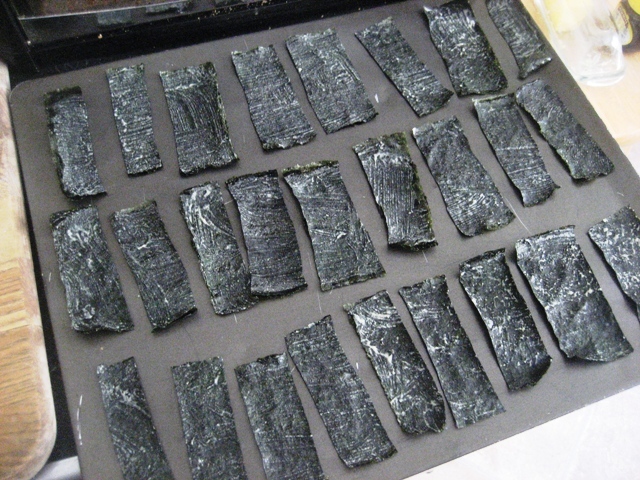 Repeat this process with each sheet of nori until you have filled the baking sheet. 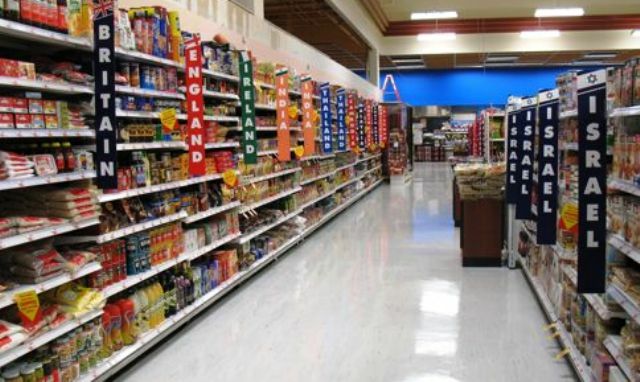 Strips can be close to each other, but should be in a single layer without touching. 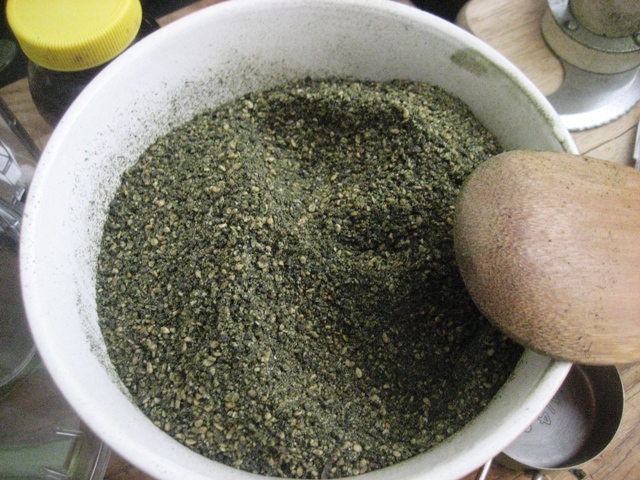 Nori, ready to get baked! 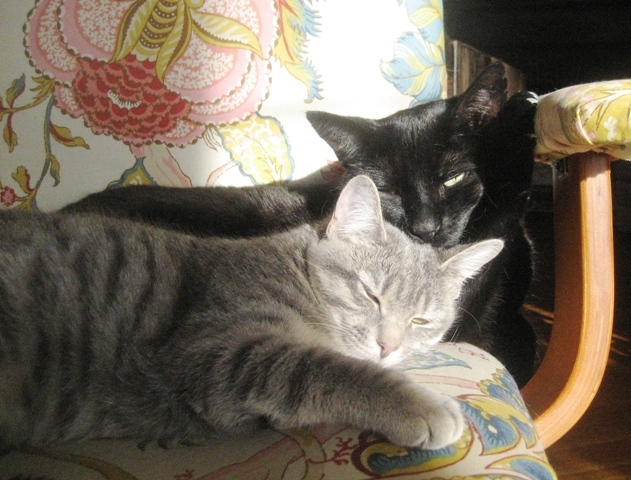 Bake for 10-13 minutes, until darkened, dry to the touch, and brittle. 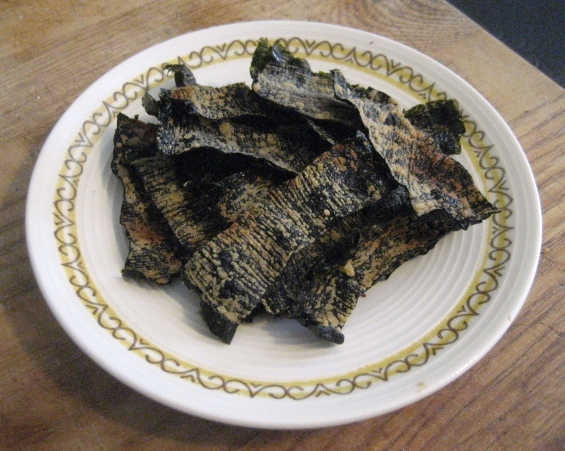 Transfer the nori crisps to a cooling rack to finish crisping. Repeat with any remaining sheets of nori. If you do happen to have any leftovers, I didn’t, store them in an airtight container. 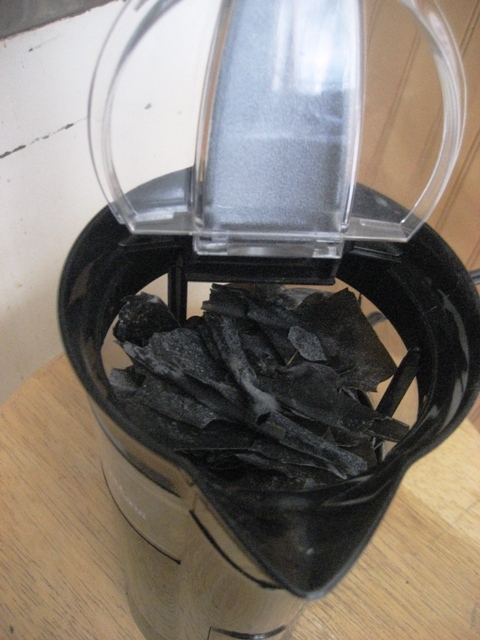 They will stale a bit with time, but should still stay crispy for a few days.